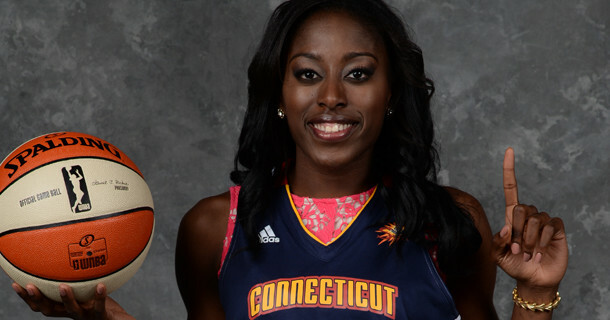 The Connecticut Sun have selected Stanford forward Chiney Ogwumike as the No. 1 pick in the 2014 WNBA Draft! Ogwumike joined her sister Nneka, drafted by Los Angeles in 2012, as the only siblings to be chosen first in the WNBA. Chiney Ogwumike finished her stellar career at Stanford as the top scorer and rebounder in Pac-12 history. The choice of the two-time AP All-American drew loud cheers from the crowd at the Mohegan Sun Arena, where Connecticut plays its home games. This was the first time fans were allowed to attend the draft since it was held in Tampa in 2008. Odyssey Sims of Baylor went second to Tulsa and San Antonio took Notre Dame’s Kayla McBride with the third pick.